This definition reads as inclusive of all aircraft, as it does not specify whether aircraft are manned or unmanned. The word “aircraft” is then referenced in several other definitions, such as of “operation of aircraft.” The current statutory definition of “operation of aircraft” does not exclude drones, as there is still an operator for drones – even when drones are automated, the person programming the automation is considered the operator. 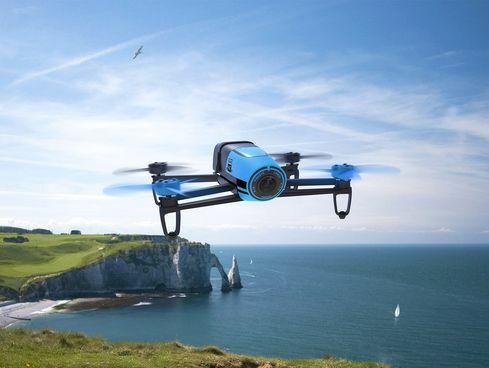 Because drones fall under the state’s broad definition of aircraft, the regulations and restrictions already in place for aircraft would also apply to drones. 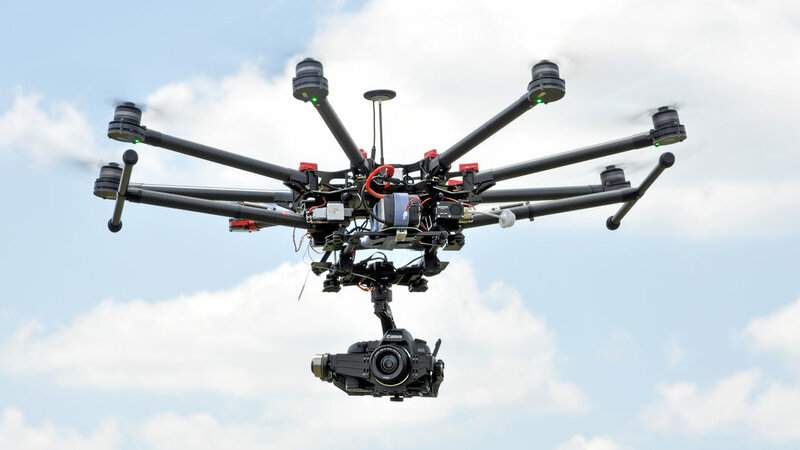 In some instances, this makes the current status of certain aspects of drone regulation under state law fairly clear, but in other cases this may create restrictions not intended for, or clearly applicable to, unmanned aircraft. Thisdefinition of “aircraft accident”, which refers to persons boarding the aircraft, means that unmanned aircraft are exempt from the accident reporting requirements. Similarly, the statutes regarding aircraft registrations and aircraft use of airports or helipads both have instances where drones might be included and others where drones are excluded. As such, program review staff finds that current state aeronautic statutes are not clear about state requirements for drone use, as the statutes that are most applicable were largely crafted regarding manned aircraft exclusively and without possible use of drones in mind. Possession and use of certain weapons is already illegal, so use of such weapons via a drone is also illegal. There are also statutory items that clarify what constitutes breaking a particular law or as evidence for the same. For example, the “presence of a machine gun in any room, boat or vehicle shall be presumptive evidence of the possession or use of the machine gun by each person occupying such room, boat or vehicle.” Drones that can carry weapons appear to fit the statutory definition of “vehicle,” but since this particular law is based on the vehicle being occupied, it remains unclear whether the presence of an illegal weapon on a drone implicates the owner of the drone for possession. Current statute prohibits the use of remote devices to operate firearms. 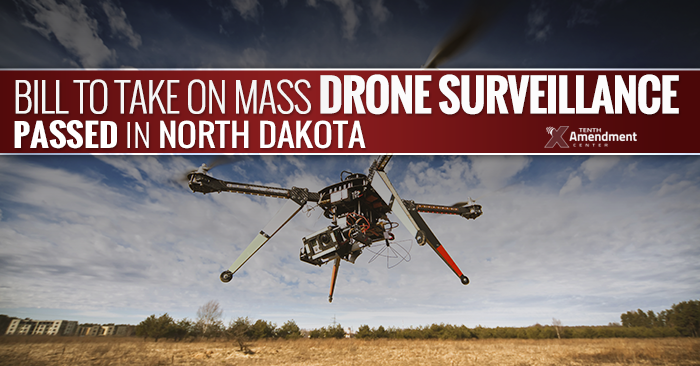 This implicitly includes drones within the definition of remote devices, but this statute is limited to forbidding remote hunting via computer software and does not address any remote use of firearms outside of hunting activities. One area of criminal law with very limited applicability to drones is trespassing. All degrees of trespass are described as “a person” entering a building or an area without permission or consent. 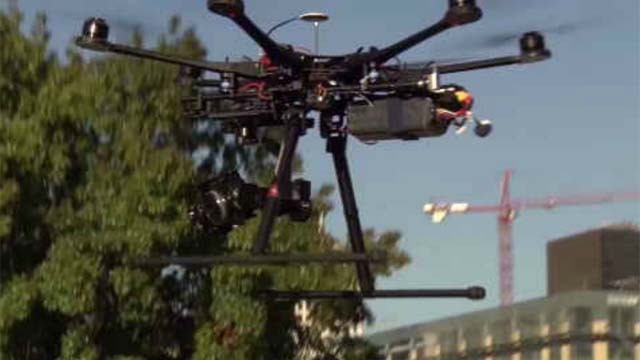 As a drone is not “a person,” it is difficult to see how current law might apply here. Likewise, trespass requires either being in a building or on the premises of a location. 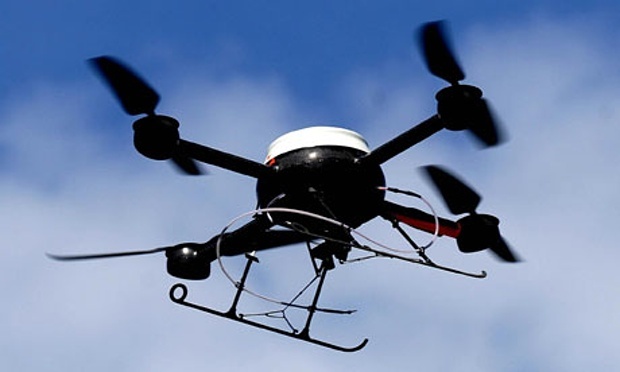 Even if trespass could be committed by a proxy for a person, criminal trespass with a drone would most likely be done by flying in the air above a property, rather than clearly inside a building. becomes public airspace. The United States v. Causby (1946) decision said that flying aircraft at 83 feet from the ground was so low as to have a material negative impact on the property owner, but did not make clear that this elevation was an actual demarcation of where private property ended. Without a definition of the upper elevation limits of private property, it would be difficult to argue that a drone had entered that property criminally by flying over it.